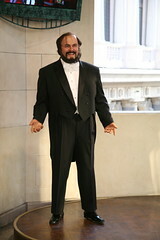 The opera will be performed throughout the weekend of Deloitte Ignite (4, 5, 6 September 2009). They're investigating how short, 140-character contributions can build upon each other to create a non-linear narrative – like a Choose Your Own Adventure story or a game of Consequences. The story is line is being summarized regularly on the blog. Here's Act 2. In addition to the summary, the music director is blogging about on how the story can combine with some music and acting and singing to become a finished piece. This isn't the first time a classical music organization has turned to social media and crowdsourcing. A few months back, the San Francisco Symphony used YouTube to crowdsource auditions for a mashup peformance. Here is an example of an artistic program or creative process undertaken as a crowd and it isn't a cheap publicity stunt. How do you evaluate this? In the traditional way, a music critic would attend the performance and publish a review. I wonder if they will crowdsource the review? Woudn't it be cool for the audience to rate the opera using their mobile phones? I wonder what they thought about before starting this experiment? I came across Jeff Howe's definitive book on Crowdsourcing and in the last chapter he offer guidelines for crowdsourcing. I wrote the following trying to translate some of the ideas for nonprofits and use it as framework when looking at the Opera project. Crowdsourcing is a not one crowd fits all approach. It's an umbrella term for different approaches that all have one thing in common: a contribution from the crowd. There are four categories of crowdsourcing -- each of which suggest a particular goal. Many successful crowdsourcing projects use a combination. Collective Intelligence or Crowd Wisdom: This is the "we are smarter than me" rule. A group of individuals has more knowledge to solve a problem than a single individual. 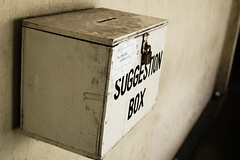 At its most low tech level, wisdom of the crowds is a suggestion box. Crowd Creation: Crowds have creativity. Jerry Michalski use the metaphor of the global brain to describe this. Now wonder some arts organizations - museums, orchestras, and now operas - have embraced crowdsourcing as a creative technique. Crowd Voting: This category uses the crowd's judgement to organize vast quantities of information. TechSoup Global has been one of the leaders experimenting with type of model through its Challenges. And, as Stacey Monk points out, these are not without their challenges. Crowd Funding: This category taps the collective pocketbook, allowing large groups of people to provide funds one small donation at time. Spot.Us is a great example. This is one of those common sense points. For example, if the @youropera followers are tone deaf or have never been to an opera or if @youropera didn't explain what an opera libretto was in plain English and encourage participation from those who were not professional opera librettists (not sure if that is the right term) - then there might not be a resulting opera. Obviously, they reached out to people who are opera lovers and Twitter users. According to Howe, attracting a Howe, attracting a crowd is much easier than keeping it. He goes to say that the most important criteria for success is the existence of a vibrant committed community. You need to understand their motivation. 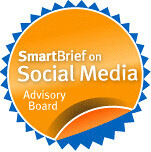 Is it an oportunity to participate with other people who share an interest, learn something new, have fun or what? Maybe just the opportunity to contribute a 140 line to an opera to be performaned by a major institution is enough. Maybe they will acknowledge contributors. Other crowdsourcing projects have provided incentives - like cash. Take for example, Ideablob. Howe also points out that some people might freely donate their time, knowledge, or labor - but don't under-estimate the power of cash incentives. Yes, I know you can't herd cats and crowds need some guidance. There might be some level of self-organizing but they also require direction and someone to answer questions. Ah, a crowdweaver! Also, crowds don't work in total isolation. Typically these are collaborations between the crowd and individuals guiding them. And sometimes you don't guide, but follow (I think this what Downes was saying about not being able to train seals) In the opera project, this guidance is being done by the music director on the blog and on Twitter. It is important to break the task into the smallest component. It isn't because people are stupid, but because they are busy! This is what Yochai Benkler refers to as "modularity," and defined as "property of a project that describes the extent to which it can be down into smaller modules that can be independently produce before they are assembled into a whole." Think legos. This is known as Sturgeon's Law. It is important to remember that the benefit of crowdsourcing lies in providinga previously nonexistent outlet for people's talent. Here's the list of all the latest tweets for the Opera project, how many will make it into the final opera? Howe suggests using the crowd to help you filter the crap. 7. What's in for them? This about making sure that you're giving the crowd what it wants and that is about understanding motivation. People are drawn to participate because some psychological, social, or emotional need is being met. Maybe being able to say that you contributed a line to a professional opera gives you a sense of achievement. What are your best tips and tricks for crowdsourcing? Beth, you've done it again - taken a oft misunderstood concept or at least one that is confusing and made it understandable and executable. Thanks. I particularly liked the point that crowdsourcing doesn't eliminate the need for evaluation and that in fact we can use "traditional" eval methods (and of course non-traditional!). Terrific analysis on crowdsourcing for nonprofit projects. As a former orchestra musician who often performed operas and experimental compositions, the example is wonderful. Once again, you've impressed me! Keep up the good work. Twitter opera! Awesome! This definitely makes me want to go (even if I'm too shy to contribute). Not only does it sound like an interesting experiment, but it makes me respect the company more for taking a risk and doing something innovative and different. I'd love to see whether Royal Opera House attracts new audience members and how many become repeat customers. What's sticking with me the most about crowdsourcing is the need to pick the right audience and offer the right incentive. This is, of course, a recurring theme in social media execution. I believe someone commented on an earlier post about making sure the crowd you're sourcing from is the same crowd that will ultimately be consuming the final product. I just started Howe's book and am loving it. As someone who works for an arts advocacy group, the creative potential of crowdsourcing is just so appealing. One of my fave lines from the book so far: "Crowdsourcing is the antithesis of Fordism, the assembly-line mentality that dominated the industrial age. Crowdsourcing turns on the presumption that we are all creators."